Abu Dhabi, September 20, 2018: Sun-like stars rotate up to two and a half times faster at the equator than at higher latitudes, a finding by researchers at NYU Abu Dhabi that challenges current science on how stars rotate. Scientists at the NYU Abu Dhabi Center for Space Science used observations from NASA's Kepler mission and asteroseismology — the study of sound waves traveling inside stars — to determine with precision how Sun-like stars rotate, which no other scientific method has been able to achieve. 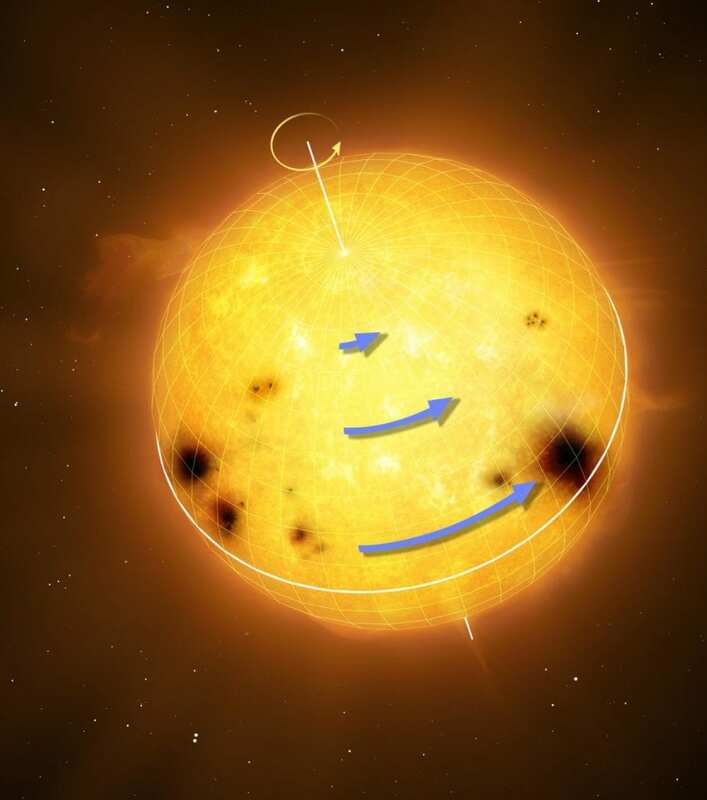 Their study found that Sun-like stars, characterized as being like the Sun in mass and age, do indeed rotate in a similar manner as the Sun in that their equatorial regions rotate more rapidly than at mid- to high latitudes. But there's a key difference. "This is very unexpected, and challenges current numerical simulations, which suggest that stars like these should not be able to sustain differential rotation of this magnitude," said Othman Benomar, research associate at the NYU Abu Dhabi Center for Space Science and lead author of the study published in Science. "Understanding differential rotation — how fast one part of a star spins compared to the rest — is not only important for a complete understanding of how a star works, it will help us gain deeper insights about their magnetic fields," explained Katepalli Sreenivasan, principal investigator of the NYU Abu Dhabi Center for Space Science. Sreenivasan added, "learning more about how stars rotate and generate their own magnetic fields could help us gain further insight into the solar dynamo, the physical process that generates the Sun's magnetic field." The NYUAD Center for Space Science is supported by the NYUAD Research Institute, which promotes cutting-edge and innovative research through the support of its 12 centers, labs, and projects.